I have lots of excuses for why I haven't built a workbench to replace my 4.5'-long shorty: too many good designs on the internet vie for attention; Chris Schwarz keeps writing new bench books with more information to consider; good ol' fashioned lethargy rears its slothful head; and I don't have enough space in my shop to build the length of bench I *should* build. But thanks to Swedish illustrator Carl Larsson, an artist born in 1853 who captured family life and bucolic settings in watercolor, I may have exhausted the usefulness of the last excuse. 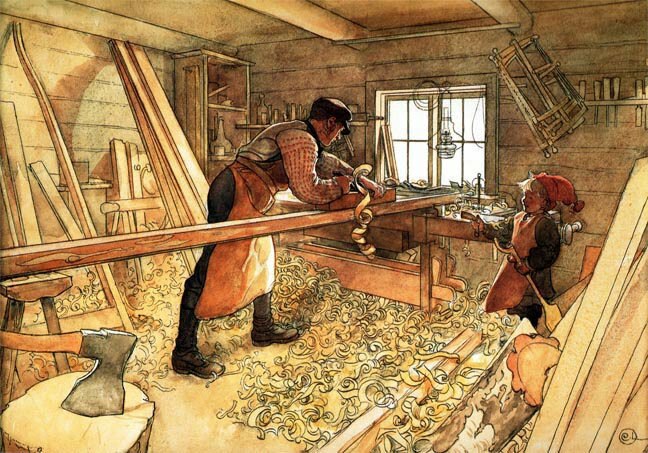 Larsson's painting of a carpenter at work in his shop depicts one way to get around the inconvenience of a too-short workbench when working with a long board. The carpenter uses a stool that's the same height as his workbench as a support. And instead of planing the bo ard along the length of the bench, he planes into the bench and uses the sash as a stop. The board that's being planed is thick enough not to flex under pressure, but what happens when this method is used to plane a 4/4 board? My guess is the unsupported middle would flex, which would compromise its flatness. 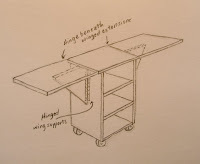 One way to support the middle is to build a roll around shop cart with hing ed wings and locking casters. 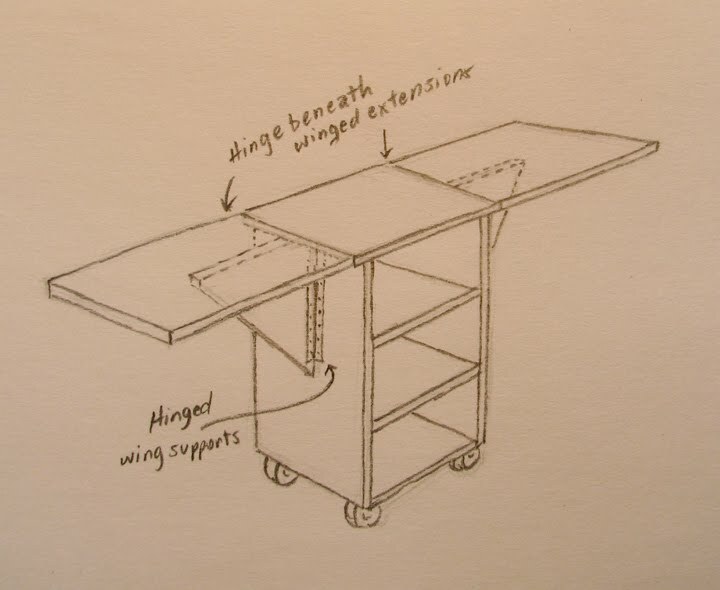 Because the wings add more length to the top when extended, the cart's footprint can be small—a benefit to a small shop. Add a couple shelves beneath the top, and you have a very useful shop accessory. 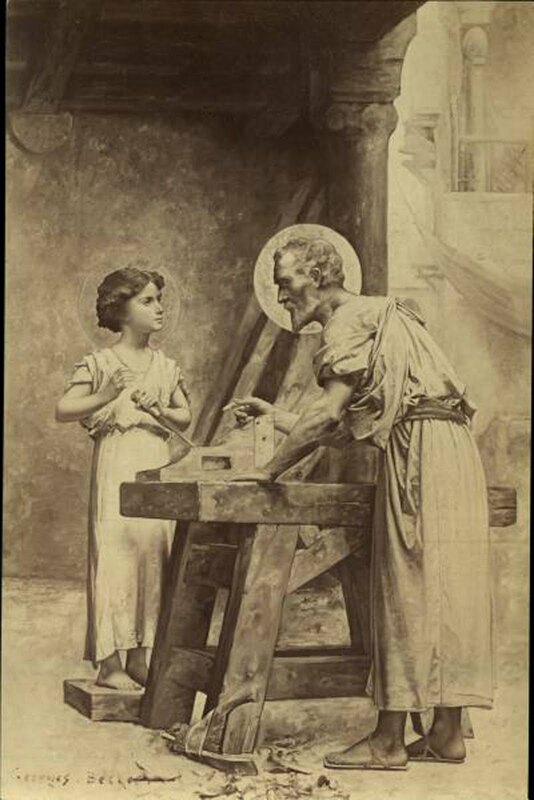 The last image of a young Jesus with his carpenter father shows a small, but sturdy workbench in what appears to be a room with ample space for a longer bench. Could be this was a popular style of workbench used when this painting was made. Could be there weren't enough tall trees available for lengthy lumber. Or maybe the artist thought Joseph was just...I don't know. Lazy.